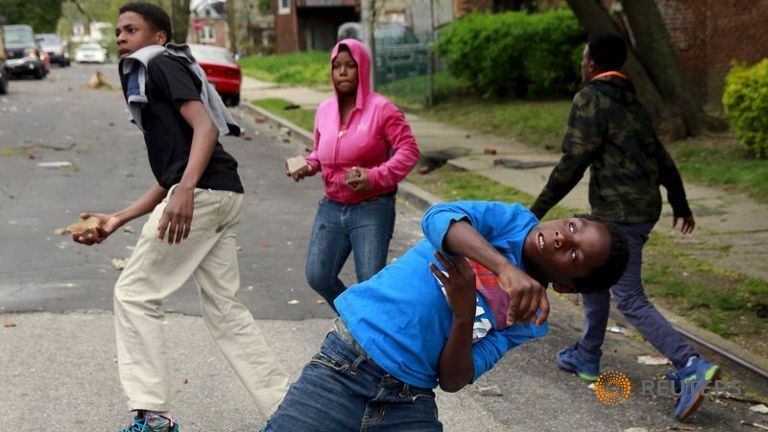 Crazy stuff… kids looting, rioting, and out of control in a major US City. 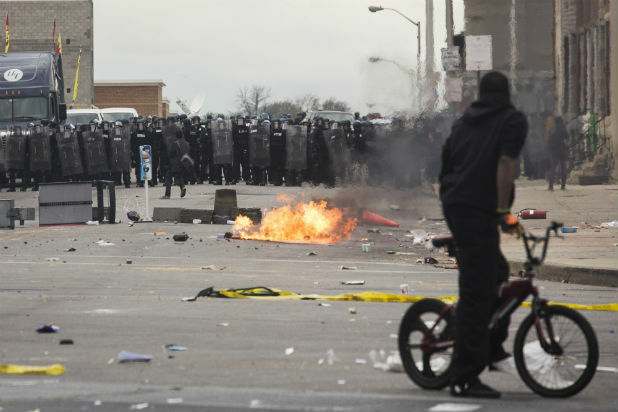 Rage and Frustration literally igniting a city as millions watched and took sides. As a pastor a thousand miles away…my heart ached. Such fear and confusion, politics and posturing. Agenda’s seen and unseen pushing from behind the scenes to move us in calculated ways. It’s so messed up, it makes me want to throw my ‘hands up’ in a completely different way. But way down deep in my heart is the sadness of knowing, this explosion of emotion is based on more than a rage at the machine or the ‘man’ in charge… it’s deeper than any political movement or social injustice. This is a symptom of darker and simpler things. The foundations are falling and the family is the first to go. 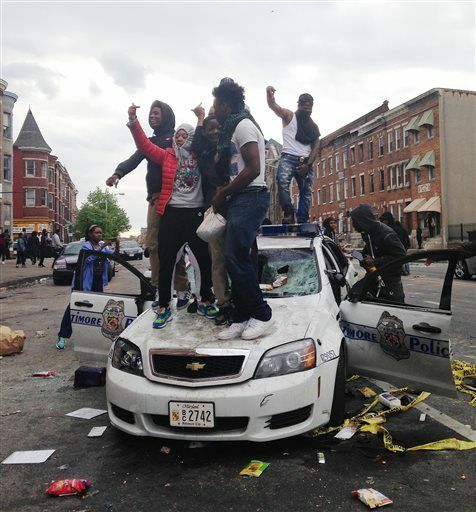 Baltimore is burning, lead by its dis-enfranchised youth. Where are the fathers and mothers to lead their family’s home ? Are they absent for the decades of unresolved social injustices in their city, is it generational poverty, education erosion, violent gangs, drugs, a culture of open promiscuity… or is it the overall lack of faith or hope in the future that’s fueling this growing lack of respect for authority? In the end, it’s about the home… or the absence of home for our youth. America, it’s time “we” (Christians /you and I) do something about this, and stop allowing the media to push us into one camp or the other. We must see the outrage of our heavenly “Father” at the widows and orphans of our land. To ignore this is to be asleep or worse… apathetic to our selfish bones. Ask God to show you ‘who’ and where and when, but it’s time we move from the sidelines to the front-lines of this modern american tragedy. It’s past time for God’s people to make a tangible difference. To risk being uncomfortable. It’s as simple as looking for a life to invest in. Find a young man or woman who isn’t in a healthy home or family. Adopt them. Take them in. Love them, teach them… learn from them. Grow. Become the hands and feet we sing about on Sundays. Do for the one… and change the world. Graduation ! Tassel Time and Transition has come again. It’s that time of the year when we parents scramble to find our boys that one lost pair of dress shoes (that you know must be in the laundry room), or some khaki’s that are still wearable as we check to see if the one button down shirt he has to still have from Christmas, might be in a pile under his bed… and for those of us with daughters we fathers endure as they preen about if the dress they picked out for graduation works for them? Their anxiety growing until the very last second as they consider over and over with whoever will listen to them… if it’s o.k. to wear or if it’s TOO dressy or NOT enough for the occasion. Arrgh! If your a parent of a soon to be graduate, this is your blog for today. Digital camera’s at the ready, hundreds of mom’s, dad’s, grandparents and siblings will be rushing off to sweat in a gym while wondering if their backs can really hold them erect on wooden bleachers long enough to capture the moment on the platform. It can be a crazy time, marked by mad dashes and minivan races to get everyone there on time to share. Life comes at us FAST, it feels like its moving at an ever-increasing pace and if we’re not careful it may blow right by without us having the time to mark this cherished moment forever and ever… I mean how often do they graduate from pre-school, RIGHT ? My youngest child finished up eighth grade yesterday, my oldest is a junior…sorry, now Senior in High School. I’ve attended probably nearly a dozen graduation events over the last seventeen years with my three children and my twin nieces,nephew etc.. sat uncomfortably as they all navigated their educational courses of life to the elevated platform of paper and pride (Diploma). Along the way I’ve watched as they matured and learned and gained valuable and sometimes painful lessons from both their teachers and their peers. Graduations it seems are mostly uncomfortable, hot-humid affairs in the mid-south, with bustling and tussling and excited nervous masses of “not-going- to-miss- this- moment” mom’s rushing at you from every corner with a camera and a set smile. They will be crowded, loud and an agonizing mix of excitement and boredom followed by too much food. So Enjoy ! Confession, this year we skipped a junior high graduation in our family for the first time. Gasp! I know. I thought my wife would get really upset, but last night with my son we did, and the world didn’t stop. His older sisters were excited for him so they made a fun ceremony of it in our basement. They put on their own graduation party for their little brother (who is actually taller than both of them now) complete with balloons, streamers and his favorite take out chinese food, cards, gifts and mountain dew! When the dust cleared my son and I went up to our bonus room and played a shooter game on the Playstation 3 for two hours (Yes, fellow dads…he waxed me every time) and we had a blast. As we enjoyed our laid back graduation evening, I WAS AWARE. I noticed that my boy was becoming a man, and I saw the changes in him already gained and the ones yet to come. I marked that moment in my mind as significant and IT DID NOT PASS ME BY. I spent an evening focused on him. Last night was really about grabbing that moment in whatever way would connect with my son, in a way that he would appreciate and remember. Of taking the time to note that he had completed well what he had begun four years earlier and that he had survived the trauma of junior high intact. His leaving the equivalent of an adolescent hades and preparing to enter high school was a moment of triumph in a far different way than academics. He had learned to endure and grow and contend for things that were new, difficult or uncomfortable, but he had and he had done so with courage and strength. To wrap this up… We all know that a graduation is a season of transition that is full of bittersweet memories and future hopes and fears. It’s a moment of reflection for all of us who have a child finishing up one period of their lives only to begin again. My encouragement, mark the season well, engage fully during these milestone moments with your kids and dis-engage from your work, your distractions and your urgency to be somewhere. Live intentionally. Skip the sermons, avoid life lesson talks in the moment, just enjoy your childs graduation transition and celebrate them and remember it well. If this is happening now in your world, get the card, get the flowers, buy the watch…but PLEASE DON’T MISS THE MOMENT. I remember thinking of the pain in my daughters eyes, pain and frustration. She had been taught since a little girl of a God who would answer His children’s prayers, all you had to do was ask. She had asked, but nothing had happened and when she kept asking and asking… with nothing to show for it. All that she had believed about God started to come into doubt. It was late at night and I was tired, and I wanted to just share the “pat” answer “that God is always at work, whether we can see it or not”, or “God’s timing is not our timing… ” but something inside me warned to NOT go Sunday School on my 14-year-old. It was time for her to hear God for herself. I sat down with daughter and read her the Psalm and as I did so, I asked her if that was how she felt ? She nodded her head with tears in her eyes… and then I shared with her that I believe God WAS answering her prayers. He had been all along, but she just had not yet learned how to hear Him. When I told her the verses I read were for the day’s exact calendar date and were written over four three thousand years earlier by King David, it suddenly connected with her. God was speaking to her through His sacred word, not in the darkest corner of our church sanctuary with a deep baritone voice, but in her room, straight from the verses of the Bible. Bethany connected the dots that night…God was speaking to her, she just hadn’t known how to listen for His voice. I then asked her if she would be willing to trust God one more time and pray with me for a friend ? She cried, and she sobbed, but in the end she spoke the words of pure faith and desperate hope that God would hear her cry. I agreed with her in prayer and promised to pray for her request with her for 30 days, and she promised to read her daily Psalm for thirty days and off we went. Within two weeks of that evening, my daughter connected for life with her best friend Lilly Ann Gee. They are inseparable, joined at the hip. Good for each other, strong in their faith and in their bond that is like a sister and of course…supernaturally blessed. God answered Bethany’s prayer and mine, He showed up and exceeded all of our expectations. The best part of the story… Bethany still reads her Psalms and she can and does hear God’s voice on her own now. Her faith is like any teenagers, but growing and stronger because of the testing. I hate to think what might have happened if I had just brushed her concerns under the proverbial “rug” that night. Don’t pass up the chances God gives us as parents to show them the real Jesus in their world. May God richly bless you with wisdom and grace for the journey of parenting as you like me struggle to “keep our families in between the lines and on the road of life”. Can you REALLY Hear God…? Can you REALLY hear God’s voice ? This significant question came up from one of my teenagers last year. 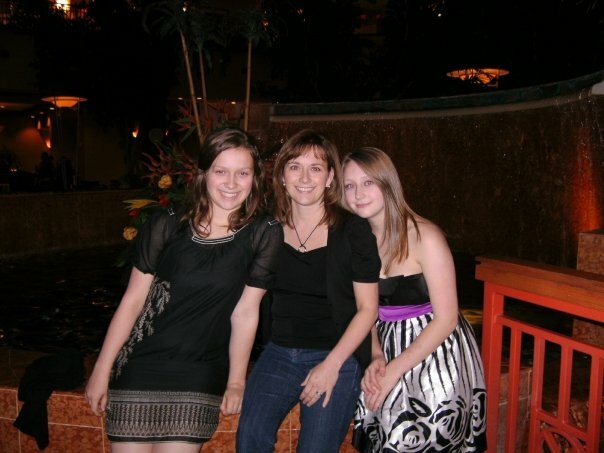 My daughter was struggling with feeling friendless and alone in her freshman year of High School. She had been praying for God to provide her some guidance, to help her out, but felt He had abandoned her. What began as a simple request from a fourteen year old had become a frustration that was rapidly evolving into bitter resentment that God didn’t hear or respond to our pleas for help. She felt that IF God was alive and interested…, why didn’t He choose to act ? When would He actually answer her prayers ? How would she know if He did ? Those are tough questions, important questions! I mean we all kind of know…basically the general idea of what it means to “hear from God”. Don’t we ? As parent’s we can’t afford to blow through the sincere fears and frustrations of our kids as “incidental”, or secondary issues that will resolve themselves in time. Doubtless my daughter would have made a new friend in time and doubtless this little concern would fade into the memory of a difficult adolescence, but the opportunity was rare to actually engage her with the faith her mother and I held so dear. It was time to step out in faith, and trust that the God who has always had my back… wouldn’t change or fail me now. He didn’t, and he won’t fail you. But to find out how He actually showed up for my daughter and for me…well thats detailed in my next blog. If you’re trying to navigate your life mostly with God, and just wee bit on your own… the end result is going to stress you out. No joke, not kidding. I can speak to this issue intimately as a recovering control addict myself… BUT, If you are a parent reading this… be careful of going any further as it could hurt a bit. As they mature into teen adulthood, the parenting role shifts dramatically again and we begin to notice their need for our guidance and help starts to rapidly fade. (authors note: This seems to be sometime immediately after they get a driver’s license and or their first part-time job.) We notice at this stage of our lives… that we’ve really begun to lose our “influence” over them to a large degree. They are needing us less and less and its only then (now) that we find out if they really learned anything over those sixteen years. 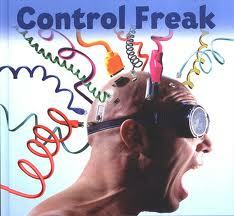 For a control freak that is simply not acceptable. Now here comes the hard part, we have to let them. Of course we don’t let them run wild and stay out all night or get into seriously dangerous situations, but within the framework of our beliefs and values, with the kids and families we are in community with…we have to allow them the space to grow and test the truths of God. For control freaks that part of the prayer applies only to the 95% of our life that we have already surrendered to God, we don’t even consider the 5% we hold back and maintain strict life control of. For parents, that five percent is almost always our kids. Look, if your thrashing yourself to sleep each nite in fear about your teenagers, and your unable to come to grips with the rapidly changing role you have in their life… its time to give God that 5% back. He can handle it. He insists that for everyone’s own good, we surrender it all. It will look and feel different for every home, no rigid guidelines from me… BUT, when you let go, the anxiety will leave. Our kids have to experience free will just as we did, they may surprise you. Mine has. Living out your life of faith as a parent is a powerful thing, your kids are smart… they know if your sincere or just faking. If you have lived a sincere and vulnerable life of faith out in front of them, they are going to respect and admire that no matter what they seem to say or act like. Here’s to keeping it between the lines and on the road of life.